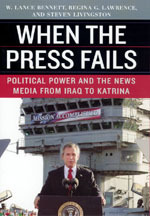 Last Sunday, in his weekly column in the New York Times on politics and the press, Frank Rich gave a shout out to When the Press Fails: Political Power and the News Media from Iraq to Katrina by W. Lance Bennett, Regina G. Lawrence, and Steven Livingston. Rich’s editorial reflected on the continued failure of the U.S. media to deliver critical reporting, especially about the war in Iraq. Far from criticizing the failures of the Bush administration, says Rich, “a propaganda-driven White House can enlist the Washington news media in its shows.” When the Press Fails looks at the intimate relationship between political power and the news media and argues that reporters’ dependence on official sources disastrously thwarts coverage of dissenting voices. The book has just been shipped. You can read Rich’s article on the NYT website or circulating around the internet on a variety of politics and media oriented blogs. You can find out more about the When the Press Fails on our own website. . . .
Another Chicago book has found its way into the New York Times, only this time it wasn’t among the usual Sunday book reviews, instead it was hiding out in the travel section of the paper. 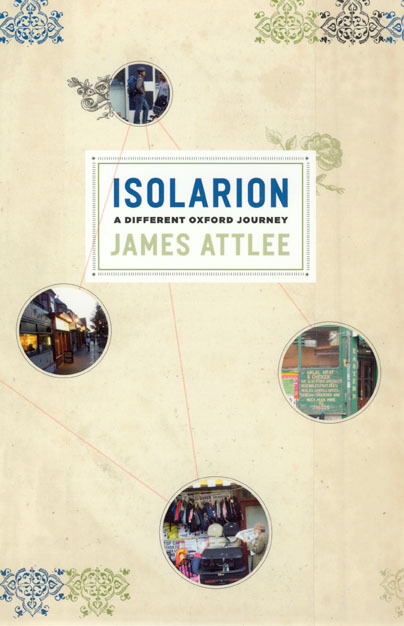 Reviewing Isolarion: A Different Oxford Journey, for the NYT’s “Armchair Traveler” column, Richard B. Woodward gives a nice account of the making of James Attlee’s unconventional new travelogue: Stricken with ennui during commutes to his publishing job in London, was tempted to set out on an adventure far outside cellphone range of his wife and children. Instead, he put his tape recorder in his pocket, walked out the front door, and embarked on a voyage around his Oxford neighborhood. “Why make a journey to the other side of the world when the world has come to you,” he reasons. Recording not the hallowed academic haven of dreaming spires, but the more recent and fractious multicultural city, he decides that this less venerated England is best seen on Cowley Road, an ancient thoroughfare that once led pilgrims from the colleges to a medieval healing well, and is now home to immigrants from five continents. As a document of the author’s fascinating journey, Isolarion takes its . . .
David Bevington’s new book This Wide and Universal Theater: Shakespeare in Performance, Then and Now was recently noted by the New York Times’ William Grimes in his comprehensive review of “a stack of Shakespeare books released to coincide with the playwright’s birthday on April 23.” Though Bevington’s book is set amongst some tough competition, as Grimes notes, his book stands out for its detailed study of the performance of Shakespeare’s plays. Grimes writes: Mr. Bevington, by focusing on the stage directions in Shakespeare’s plays, shows how actors relied on words alone to suggest time, place and action, and how the stage at the Globe could be manipulated in the hands of a canny playwright. There was no balcony in “Romeo and Juliet.” On the other hand, since there was nothing in the way of stage décor, no intervals were needed to move from scene to scene. More recent directors, returning to Shakespeare’s idea of staging, have embraced abstract spaces and let the language do the work. 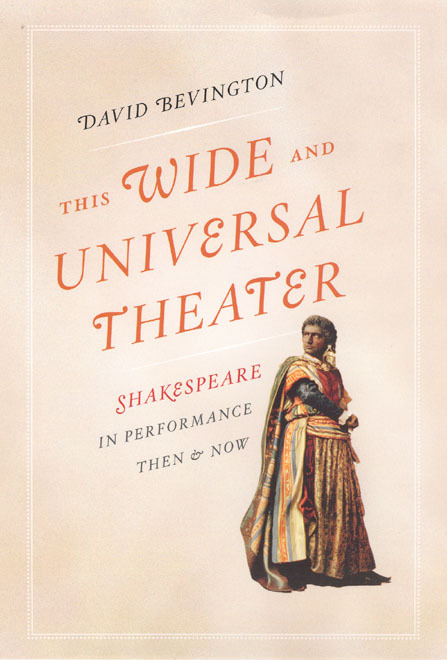 Examining the performance of Shakespeare’s art both in his own time and in the succeeding centuries, David Bevington’s This Wide and Universal Theater is an essential addition to any Shakespeare lover’s bookshelf. . . .